After 3 1/2 years here at Blogger, I'm finally taking the leap and moving to a WordPress blog that's part of my website! Please join me at the new blog. $5 off personalized aluminum sports water bottles, 3 days only! UPDATE: This sale has been extended through Friday, 4/8/11. I've noticed an increase in water bottle orders recently, and as I was filling my son's water bottle for soccer practice it occurred to me that spring & summer sports are probably the reason for it. I can't tell you the number of times that my son has left his water bottle at practice or a game - it's so frustrating! At least now that he has a water bottle personalized with his name it's more likely to be returned to him. I've also had a few customers mention that they need their water bottles in time for Easter (which is no problem!) I think that's a great idea! 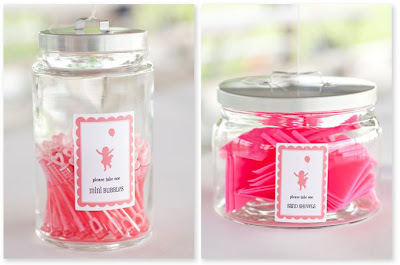 I'm always on the lookout for non-candy items to add to my kids' Easter baskets, and I think these would be a big hit for kids ages 4 - 8. So I figured this would be a good time to offer $5 off water bottles. For the next three days (through Wednesday, 4/6/11), I've marked them down from $24 to $19. 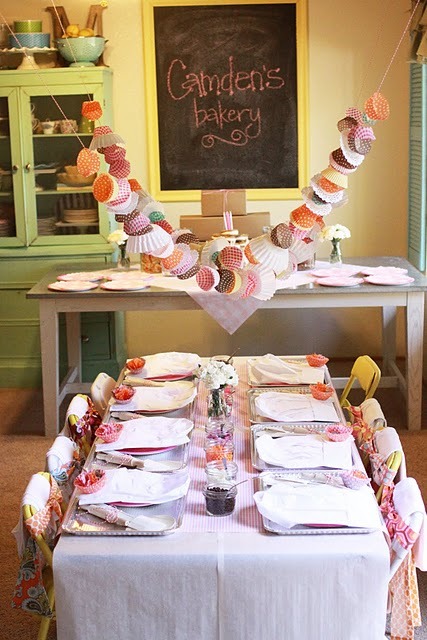 I'm so honored to be a nominee in the Circle of Moms Top 25 Party Plannin' Moms. If you have a minute to check it out, I'd really appreciate your vote! 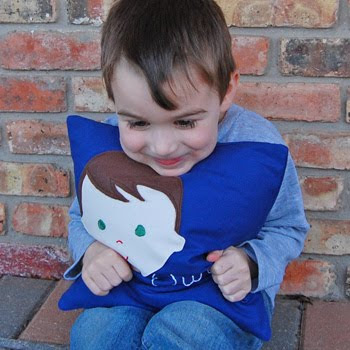 Be sure to visit Project Nursery sometime in the next week to enter for a chance to win a custom olliegraphic pillow! The contest ends April 1st, 2011 at 11:59 PST. Buy Any Pillow, Get an Art Print FREE! 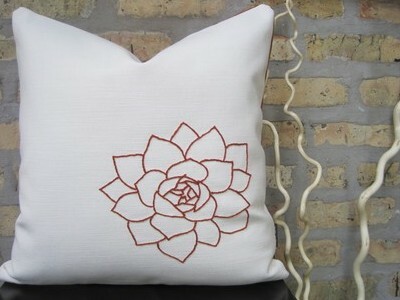 For the next week (through 3/22/11), get a FREE 8"x10" or 11"x14" art print (retail value $20 - $30) with the purchase of any pillow! Let me know the details for your art print in the "Comments" section when you check out. Send me an email with the details for the art print that you'd like after placing your order. Add the print to your order, and I'll refund that portion of your order. 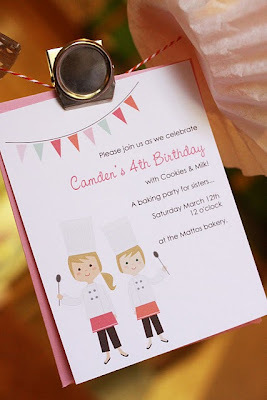 My friend, Heather, recently contacted me to see if I could add a little sister to my olliegraphic chef invitations and the bunting from my ballerina invitations. 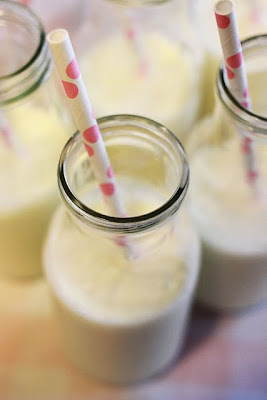 I love how they turned out, and it was so much fun to see pictures from the party on Heather's blog this morning. As you can see, Heather has completely outdone herself once again! 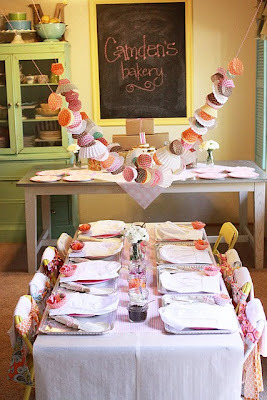 For even more pictures and all the details, check out the full post at Heather's blog. 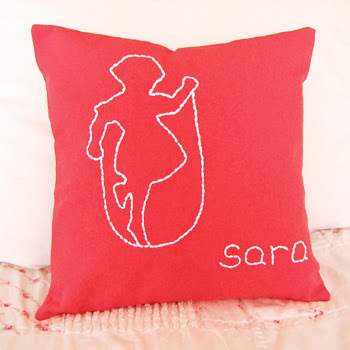 I added silhouette pillows to my website and Etsy shop this morning. I'm starting out by offering 9 different animals (bird, turtle, penguin, cat, dog, kangaroo, giraffe, bunny, or butterflies) and 6 kids (4 girls and 2 boys). I haven't been able to get any great pictures of them yet, which is so frustrating because they're really beautiful in person - these pictures don't do them justice at all. I'd love to hear what you think of them! Have you been following oh my! handmade goodness? If not, you really should check it out! I love the direction that the new editor, Jessika, has been taking it. Here's a link to my most recent post about the ways I've grown sarah + abraham through several collaborations with other small business owners. Meg at olliegraphic recently designed these cute custom invitations for a magic-themed birthday party and a fire station birthday party. I love how they both turned out! You can view more examples of Meg's custom work here. 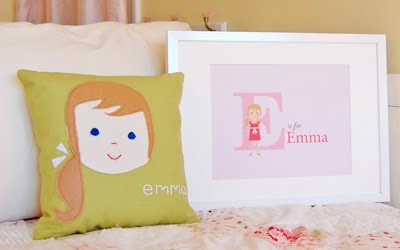 If you'd like to commission Meg to create a custom illustration for you, you can then have it printed on any of the products that I offer through the custom section on my website. Please feel free to contact Meg or contact me with any questions! 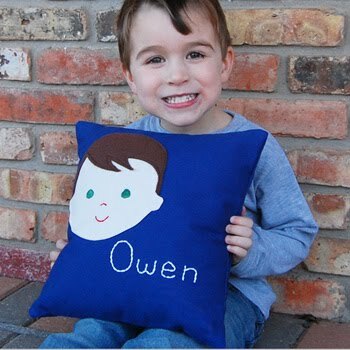 Yesterday afternoon I took some pictures of my friend's son, Owen, with a personalized pillow. When we were done he started to hand the pillow back to me, and I told him that he could keep it. He was so excited, his reaction really made my day! People have told me "my daughter is going to love this" or "my daughter loves her pillow", but seeing that reaction in person was such a treat. When I decided to offer personalized throw pillows I was mostly thinking of them as a decor item that would delight moms more than kids, so it's been great to get positive feedback from kids, too! How cute are these photographs by Carrie Davis of C. Davis Photography?! 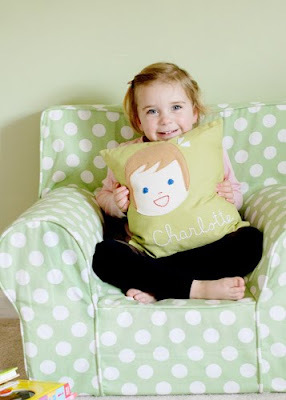 I love seeing Charlotte's face right next to the pillow... she's such a cutie! Also, I wanted to let you know about a giveaway going on over at The Savvy Moms Guide. 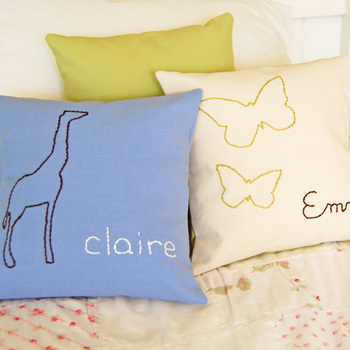 Be sure to leave a comment there before Wednesday for a chance to win a free personalized pillow! 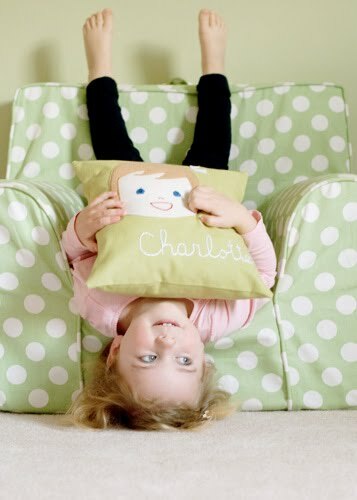 I can't even begin to tell you how excited I am to finally unveil my newest product line - personalized throw pillows for children! 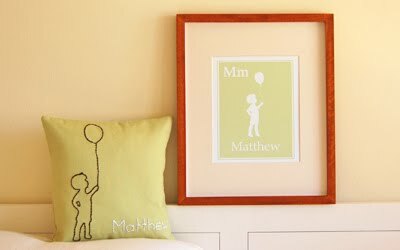 Perfect for adding the finishing touch to a nursery or a child's bedroom. They've been in the works for 3 months. A friend of mine, Jen, inspired by my olliegraphic collection, came up with this super cute all-fabric, completely handmade interpretation of Meg's drawings, and then went all out perfecting the final product. To make them, Jen starts out with high-quality upholstery fabrics (we're offering 7 colors to begin with); sews on a face cut from muslin (light, medium or dark); then sews on a hairstyle cut from felt; hand-embroiders the eyes, nose, and mouth; hand-embroiders the name (in print or cursive); and finishes the pillow cover with a neatly sewn flap (so the insert is removable). Needless to say, each pillow is truly a labor of love! 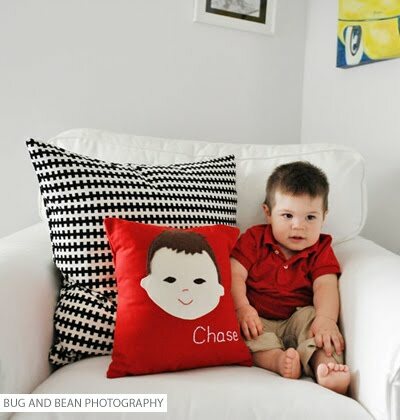 Jen made samples for several different photographers, so I'll be adding more product photos soon to my website and Etsy shop, but I couldn't wait another day to share these pillows! I'd love to hear what you think of them. 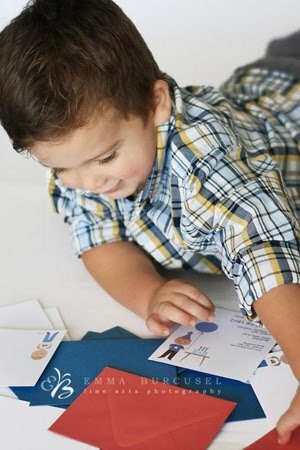 Meg at olliegraphic recently designed these super cute custom invitations for a sibling birthday party... 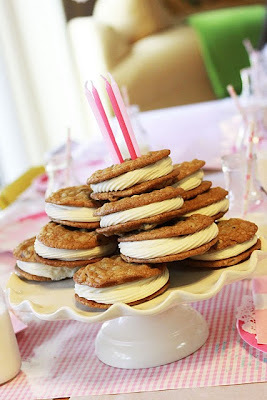 I think they're perfect for a Build-A-Bear Workshop birthday party! 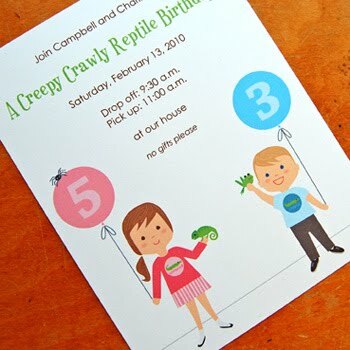 Meg also created custom invites for Campbell & Charlie's reptile-themed birthday party last year (featured here on Oh My! Handmade Goodness). These are two of my favorite custom invitations. You can view more examples of Meg's custom work here. Isn't she talented?! 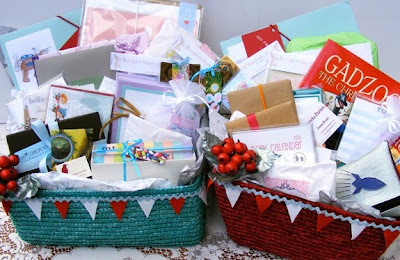 Have you heard about the huge holiday giveaway going on over at Oh My! Handmade Goodness? Over 30 handmade businesses (including sarah + abraham) have teamed up to offer an amazing holiday giveaway. From today through December24th you can enter for a chance to win one of two gift baskets with a total value of over $900! Perhaps you've already heard of this, but I was so excited when I found out about the Amazon Universal Wish List button this morning, I just had to share! 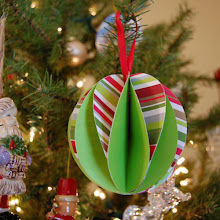 I was adding some items from Amazon.com to my kids' wish list this morning - which I use partly for relatives who ask what they'd like for Christmas and partly for myself to bookmark ideas whenever I come across them. And I saw some information about how to add items from any website to your Amazon Wish List. It even showed an Etsy page as an example. My mind started racing at the thought of being able to add handmade items and items from small websites to one wish list and hopefully encourage shopping for handmade gifts. 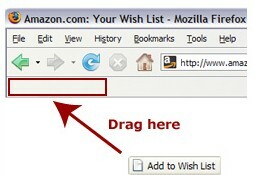 If you have an Amazon wish list, all you do is go to this page to add a "Add to Wish List" button to your toolbar. Then whenever you're browsing Etsy or another website and you're on the page of an item that you want to add to your wish list, you just click on the Add to Wish List button. A window pops up that allows you to add comments - perfect for when you're adding items to your wish list that have options for personalization! The ordering deadline for Christmas delivery in the U.S. for personalized plates and bowls and PSA Essentials custom stamps is November 30th. 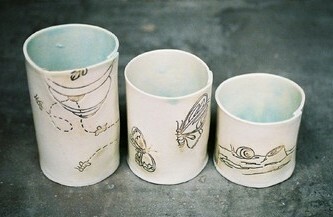 The ordering deadline for everything else in my shop is December 16th for delivery in the U.S. Early Bird Sale :: 3 days only! For the early birds who like to get a head start on holiday shopping, I'm offering a 15% discount on my Silhouette Holiday Collection, Olliegraphic Holiday Collection, and Teacher Gifts for the next three days. 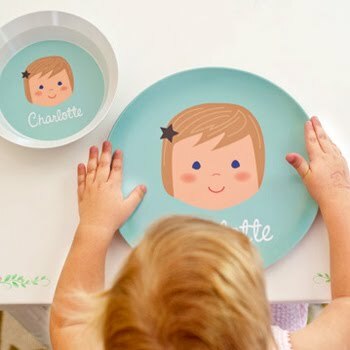 Also, I'd like to encourage you to order your Personalized Plates & Bowls extra early to ensure delivery in time for Christmas, so I'm offering 15% off those as well through Friday, 11/5/10. No coupon code is needed. Any items purchased from these collections will be automatically discounted in your shopping cart. 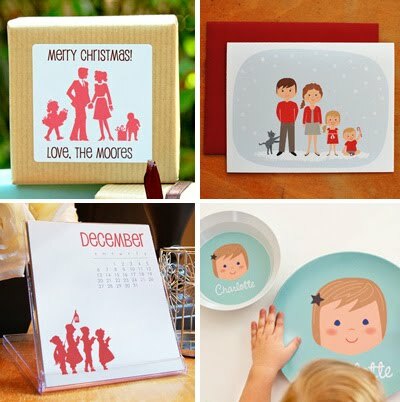 I'm so excited to unveil the 2010 olliegraphic holiday collection today! 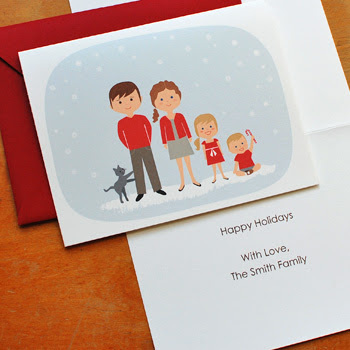 It features customizable moms, dads, kids, and pets in a wintry setting on folded holiday greeting cards and large gift labels. I'm offering five hairstyles and four facial hair options for dads, nine hairstyles for moms, and lots of cats and dogs in all different sizes and colors. 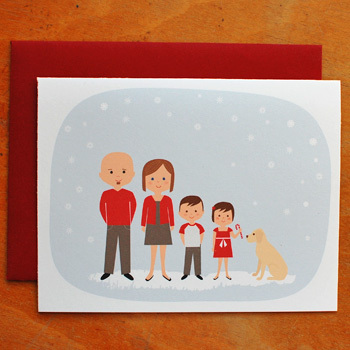 But if those options aren't exactly right for your family, the artist behind the olliegraphic collection, Meg, is happy to create completely custom illustrations for you, which she'll then send to me to print on your holiday items. Please note: the ordering deadline for custom illustrations is December 1st. All of the folded cards include a message printed on the inside of the cards. 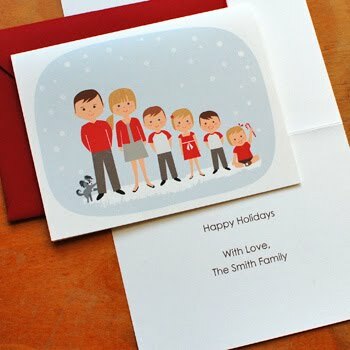 I've listed products with up to four children, but if you have more than four children, please feel free to order cards or labels with four children and add the details for the additional children in the "Additional Instructions" field. 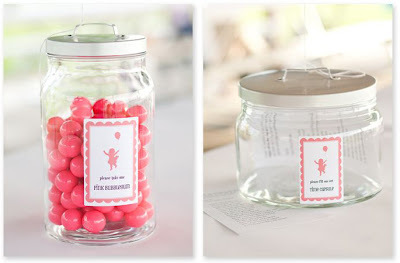 I'm also offering a pregnant mom - so cute! 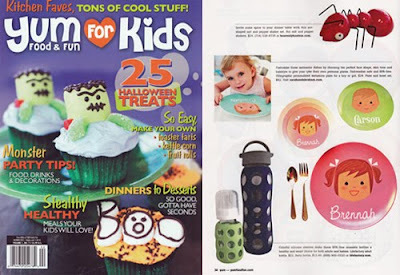 I received an order yesterday for a couple of personalized plates, and the customer mentioned in the comments section that she saw the plates featured in a magazine, Yum Food & Fun for Kids. I remembered that I had been contacted by the magazine a couple of months ago, but I hadn't heard anything since then. Unfortunately, the magazine isn't available online, so I headed over to Barnes & Noble to take a look, and sure enough, there were my plates on page 34! I was bummed that they didn't give Carrie Davis credit for the photograph of her daughter, Charlotte, but it's always fun to see my products in print! 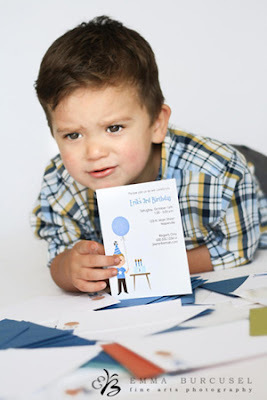 Last year I received an order from event planner Brittany Egbert of One Charming Party for silhouette invitations and a coordinating set of bookplates, each with different text. 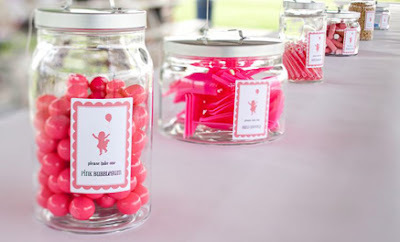 I don't know how I missed these gorgeous photos when Brittany published them in a post about the pink themed first birthday party that she planned, but when I came across them recently I figured it would be better late than never to share them. What a clever idea! 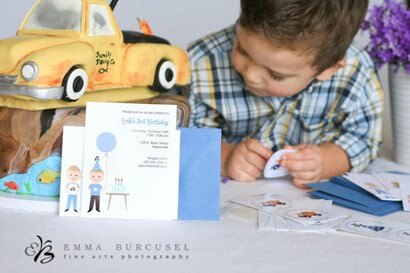 Here are some more fun pictures from a trade I recently did with photographer Emma Burcusel of Westland, Michigan. Isn't this little guy such a cutie?! And I love the dump truck birthday cake! 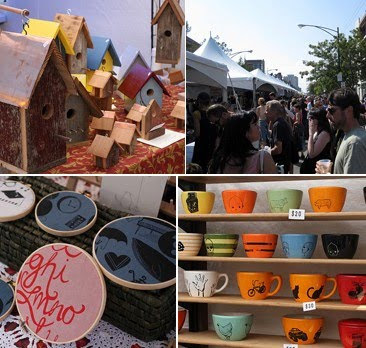 I had a great time attending the Chicago Renegade Craft Fair yesterday! It was super crowded and parking was a major challenge, but it was so much fun to see so many talented artists and amazing handmade items together in one place - kind of like stepping into a huge Etsy treasury. 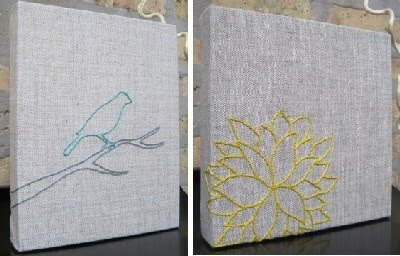 White Nest :: I love these hand-embroidered pillows and wall hangings by Chicago designer, Meg Stevens. By the time I got to Meg's booth the ones that I had been hoping to buy had already been sold, so I'll be ordering online instead. 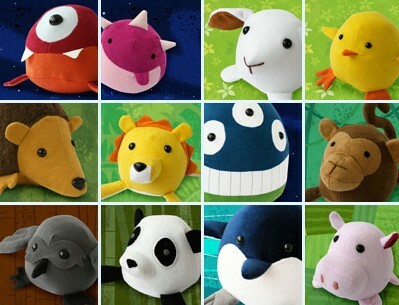 Zooguu :: We've all seen lots of handmade plush toys on Etsy, but I think these really stand out above all the rest. They're so well made, and even cuter in person, especially the little yellow chick. 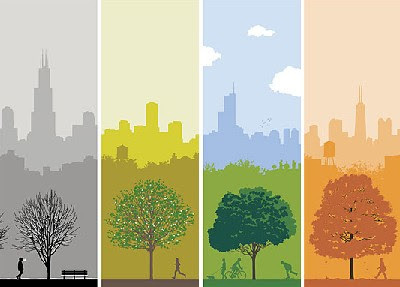 Ryan Kapp :: I love this series of four screen prints called 4 Seasons in Chicago. It reminds me of going for walks along the lakefront - one of my favorite things to do when I lived in Chicago. hip huts :: When my kids were younger they would have really loved one of these little huts (in fact, they probably still would!). 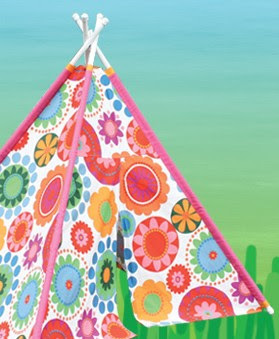 There were tons of great fabrics to choose from, and I was really surprised at how affordable they were. 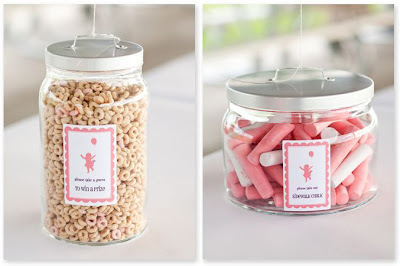 I'm definitely keeping these in mind for future birthday gifts for nieces and nephews. Soda :: This booth was full of cute ceramic cups and ornaments. 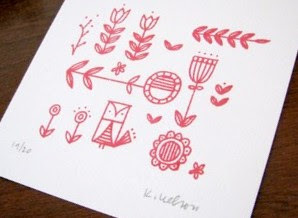 June craft :: I love Kayanna's sweet and simple gocco prints. I bought two of them, including the one above. I can't wait to frame them! Hello and welcome! 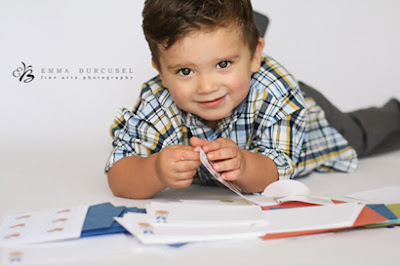 I'm Sara, a stay-at-home mom of two and the owner of sarah + abraham, an online shop specializing in personalized children’s stationery and art prints.